This year is the 200th anniversary of the debut of "Silent Night, Holy Night." This hymn has become the best-loved worship moment of many Christians – even those who only come to church once a year. 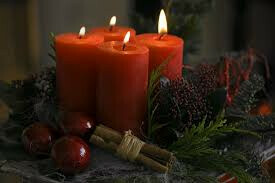 Something mystical occurs as we light our candles and sing the hope of "all is calm, all is bright - peace and light for the world. This worship series will celebrate the carol's message over the entire season of Advent and highlight its call for our lives that can guide us all year long.